Hey guys, it’s Koopa here with another video with Stream Academy. Let’s talk about what will be, for some of you, the hardest thing you will ever do in your entire life with streaming, and that is building a stream schedule. We all know that when it comes to watching our favorite shows on a weekly basis, we all know what time that they come out. It’s always the same day, the same time, and that’s when everyone watches it. When it comes to your show, when it comes to your stream that you’re building, it needs to be the same concept. That’s how your viewers are always going to know when you’re going to be streaming. Sometimes you’ll have your viewers waiting in the chat hyping up the stream before you even begin because they know that you’re going to be there. Try and hold yourself accountable, build a stream schedule, and you should see very good numbers as long as you’re consistent with that. Let’s look at some of the numbers on both good examples and bad examples from my own history, and we’ll kind of like figure out where this can really take you. Do you actually get results out of it? Does it go anywhere? Will it make a difference if I do have a set stream schedule? This is coming from someone who doesn’t have a schedule, who never has with two and a half years of streaming. I’m telling you, had I actually have built a stream schedule from the start and hold to that for a long period of time, and been very consistent, I can honestly say my stream would be a lot bigger than it is right now. Even though we all know that real life comes into a factor, and things will happen. There’s only so much that you can do. All things aside, even after making this video, that’s one thing that I’m going to be working on in 2017 is making a consistent stream schedule. If one of my viewers is watching this video, they probably just started laughing. All things aside, let’s check out some stats. All right, so this is our most recent month of broadcasting for November of 2016. At the bottom, the 141, this is how many hours you’ve broadcasted total throughout the month, 141 hours. Now, if you look at this graph it basically will say, here on November 3rd from this time is about three hours broadcasted. On here on the 2nd, about one hour. Sometimes there’ll be a little bit of an overlap when you’re doing these broadcasts when you start before midnight and after, so keep that in mind. As you can this up and down here, like this three hour, four hour, six hours, to three hours, to six hours, to four hours, to six hours. This is a good example of what your entire month should look like. Every day you should have about the same amount of hours broadcasted in repetition to create a pattern. This as a whole, this is not a pattern. We have big spikes, we have nothing, we have smaller spikes, other random mountains. It’s really all over the place. That’s what happens, this is life. We had Thanksgiving over here, so we had some decreased time. 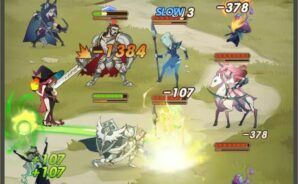 We had a big war, our big stream where a new game that came out. This was also a really big stream when Final Fantasy 15 was released, so this peaked out into December. You can’t even see the ending point of this part. This might be what happens with some of your months throughout when you’re broadcasting. Don’t be too hard on yourself about that, but it’s a good thing to note, to know what is my actual schedule like, and how can we fix that if it’s not where I want it to be? Other things you can do, and this is just by clicking here in your dashboard, this is for everyone that streams on Twitch, this is accessible. I can go to Concurrent Viewers here and I can load this up to kind of see what kind of concurrence was I getting in the month? If I want to go back, let’s go back to when Pokemon Go was really big back in July of the 2016. This is pretty crazy. It’s on a graph of a scale of 7,500 viewers peaking out at about … It peaked out at somewhere around 9,000 or so, I’m not sure the exact numbers. This was back when I was very consistent with it doing it every day, and when a new game was coming out. When a new game comes out like Pokemon Go or something else that you’re interested in, if you hit it hard enough and you luck out, you might get this random crazy spike of consistent viewership when you’re averaging a crazy amount of views. This can happen to anyone. If I go to my prior month into June, look at the difference. Look at how all over the place I am with the amount of broadcasts that I have. I got a few days off here, a few days off here. Granted it’s summer time, and there’s probably things going on. Look at the viewership, not a single stream there in June of 2016 that I was doing that I actually even break 500 views concurrently. Maybe this one stream if I go to peak concurrence to see it. Then a month later, look at the difference. Make sure that you guys are creating consistent schedules and hitting it hard, and then also taking risks along the way and trying new games. You might wondering about how many hours should you be streaming, and there’s not really a right answer for that. I would say on average a streamer is streaming on Twitch for at least four to six hours. You’re just gonna be a lot of work that you’re doing off-stream as well as the actual livestreaming portion. When someone says, “Oh, you should be streaming at least 40 hours a week,” I would say that that might be a little overzealous. 40 hours can tend to be a lot when it comes to livestreaming, just with how exhausting it can be, especially if you’re doing a lot of background work or also doing a YouTube channel. If you’re actively doing a YouTube and building that, and doing livestreaming on top of that and possibly even another job, and you might sleep in there somewhere, just make sure you’re rationing out your time evenly, especially when you first start. We talked about this before, you’re only going to have so many free hours in a day to do this. Utilize that free time that you do have, and you are creating somewhat of a schedule. That way when it is 5:00 p.m. Central Time, they know that you’re going to be going live because you’ve gone live at that day for six days in a row. You start doing that, you create patterns in other people’s lives. You’ll notice the difference. 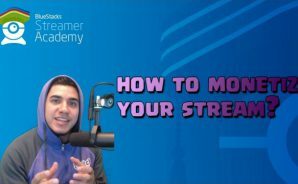 Once again, this has been a pleasure with the Stream Academy, and looking forward to more videos in the future to help you guys build your Twitch channels. Have a great day.